Welcome to Taylor's Florist and Gifts. For 40 years, Taylor's Florist has offered the very finest in fresh floral arrangements, gifts and home decor. Always expect friendly knowledgeable service. We are dedicated to making your shopping experience a pleasant one. We are located in the heart of downtown Paw Paw. *9:00 am to 5:00 pm - Monday, Tuesday, Wednesday, Thursday and Saturday. 9:00 am to 6:00 pm - Friday. For more than forty years Taylor's Florist and Gifts has been creating beautiful floral tributes to celebrate life's special moments. We use only the freshest, highest quality flowers sourced from around the world. Whether you choose your flowers to be hand arranged in a vase, made into a stunning bridal bouquet, special wrapped as a presentation bouquet or by the stem for your own vase we promise you won't be disappointed. We take great pride in our products and in our work and we hope it shows. Gourmet Michigan made sweets. Chocolate from Gilbert Chocolate Company and maple syrup, candy and treats from Jack and Jill's Maple Hill Farm. Bath and body products from Michel Design Works and Kinderhaven Farms goat milk soaps. Greeting cards, picture frames and much more. Know someone who just loves Taylor's Florist and Gifts? We have the perfect thing! Give Taylor's gift certificates and let them pick out what they love! Our eclectic mix of home accents are always an adventure to peruse. Lamps, wall art, vessels, objects d'art and permanent botanicals to name a few. We love the holidays--all of them. Halloween and Christmas are our seasonal specialties. We'll help you deck your halls. We offer tuxedos, suits and accessories for weddings, prom, black tie events and all of life's special occasions. 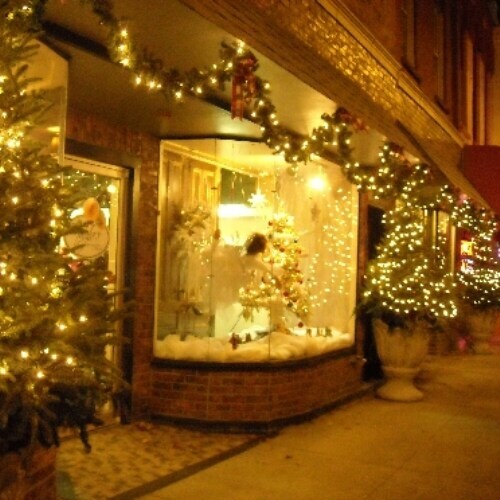 Step in and enjoy the sights, sounds and smells of Taylor's Florist and Gifts. We think sensory overload is a good thing! If you have any questions or need more information, please call us directly at 269-657-6256. Or you may e-mail us at sherrie@taylorsfloristandgifts.com We're always here to serve you and make your flower-sending experience a pleasure. A local delivery fee of $10.00 will be added to each order. Delivery fees outside of Paw Paw vary by town and distance. Orders must be received before 1:00 EST for same-day delivery in our local delivery area. Orders received after that time will be delivered the following day.